New York, West Side, 3am: a young man turns up unannounced at his grandmother’s apartment, fresh from a bike trip. But where has he been, what went wrong out on the road, and why are his parents frantic with worry? 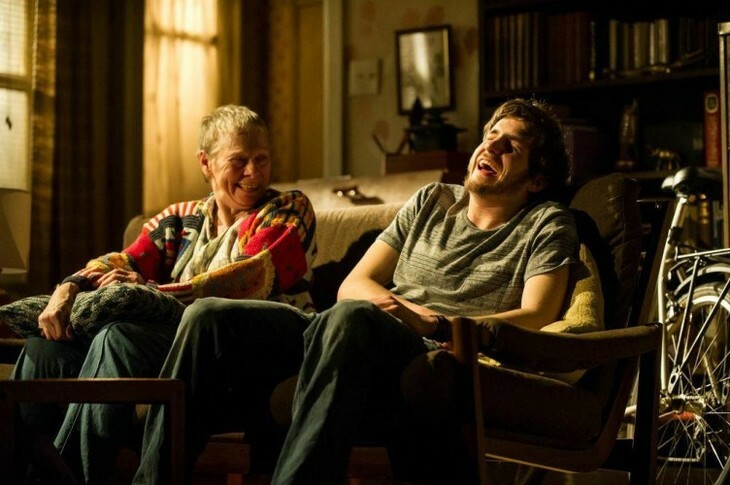 As Leo takes refuge from his off-stage family in Vera’s spare room, the 21-year old and the 91-year old develop a prickly relationship which exposes both their differences and similarities. Amy Herzog’s chamber piece comes to Westbourne Grove from successful runs in New York and Bath. Her main concern is the connection between generations: ‘leftie’ intellectual Vera struggles determinedly with physical debilitation and loneliness; Leo seems adrift from the people closest to him, cycling across the US to escape the pressures of relationships and social expectations. The two are linked by a certain idealism or naivety, Vera’s unaffected admiration for Communist Cuba reflecting Leo’s refusal to accept college, city life and mobile phones as the only option. Sara Kestelman as Vera and Daniel Boyd as Leo are strong performers, working to keep the hovering hand-across-the-years clichés at bay. Kestelman makes Vera’s physical limitations both convincing and funny, especially when she undercuts Leo’s soul-baring monologue by admitting she didn’t have her hearing aid in. They are, however, hampered by the play’s very traditional structure which tends to deliver what the audience expects, when the audience expects it. Jing Lusi stands out with a scene-stealing cameo as a girl who comes back with Leo for an abortive one-night stand, a scene which is very funny and perfectly constructed (“I’m feeling kind of shy. It’s uncharacteristic, I’m usually quite slutty”). The set-up is promising, but needs to go further than the basic reflection that the old and the young have more in common than they think. It achieves this only fitfully. When Vera and Leo get on to their political inheritance, the play begins to spark – Vera’s acceptance of her husband’s affairs, for example, horrifies Leo’s girlfriend. Unfortunately, Herzog never really gets going with a full investigation of what an alternative way of life might mean now, in an era when ideology is passé and political choices are grey. However, the beautifully observed set by Simon Kenny is a quiet star: the archetypal West Side apartment crammed with mid-century books, furniture and ornaments. We want one just like it. 4000 Miles is at the Print Room, 34 Hereford Road, London W2 5AJ until 1st June. To book click here. Production shot by Jane Hobson.